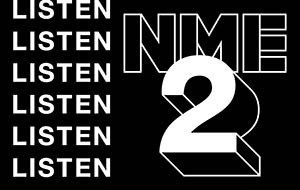 Tune in to NME 1 & 2 – the multi-channel music service for fans of garage, rock and indie, as well as leftfield dance, grime, hip hop and everything in between. The service consists of two selectable 24/7 channels – NME 1 and NME 2. NME 1 covers indie alternatives past & present, whilst NME 2 focuses on new and upfront material. To listen to the stations simply launch the Radio Player by clicking on either NME 1 or NME 2. You can also listen to NME on pretty much all mobile and connected devices via the Radioplayer or the TuneIn Radio App (excluding the U.S.) which comes pre-installed on SONOS, Amazon Echo, Google Home, WiFi Radio sets, Smart TVs (Apple, Sky Now, Roku, Samsung, Chromecast etc), connected Car Dashboards and various Game Consoles, such as XBox. For mobile devices, simple search for Radioplayer or TuneIn in the app store and download. Once installed, search for NME 1 or NME 2 and save to your favourites. AMAZON DOT: If you’ve got an Amazon Dot or Echo (or any other Amazon voice activated device) you can call up either station by enabling the NME Alexa Skill. All you have to do is say “Alexa, Launch N M E 1” or “Alexa, Launch N M E 2”. You may have to repeat the request a couple of times before it actually responds, but once enabled you can simply say “Alexa, Play N M E 1” or “Alexa, Play N M E 2”. You can also enable the NME Skill directly via the Amazon Skill website – for NME 1 click Here for NME 2 click Here. GOOGLE HOME: If you’ve got a Google Home device you can launch the stations by saying “Okay Google, Play N M E 1 on TuneIn” or “Okay Google, Play N M E 2 on TuneIn”. DAB: NME 1 is also available in central London and Brighton via DAB with NME 1 and 2 available in Norwich. Older radio sets may need to be re-scanned to receive the stations (with the aerial fully extended). 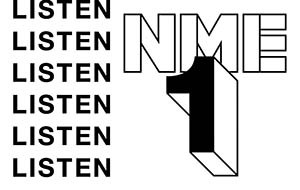 Once re-scanned, you should find NME in the station listing – save and enjoy. The A, B and C Playlists comprise of new and upfront tracks that have recently been added to the stations’ schedule. These include both established and emerging artists.